Having a portable generator on your camping adventures enables to you be able to power portable stoves and charge phones. Having the ability to use electronic devices while on a camping trip means that you’ll have more comfort, GPS, and phones for emergencies. All of these things are benefits to having a portable generator, and we’ll get into more later. How do you know which portable generator is best for your camping needs? There are so many on the market that it almost seems impossible to pick out the right one. 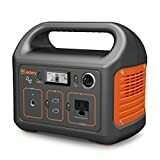 That’s why we’re going to go over some of the most important things that you should consider when looking for a portable generator for your camping needs. Why should you consider a portable generator for camping, to begin with? 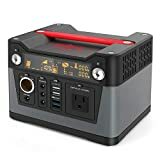 The apparent answer is the convenience because a portable generator can charge phones, tablets, and GPS devices charged and running on your camping trip. Having portable power is also important for emergencies. What if you have to make an emergency phone call? Need GPS for directions? A portable generator ensures that your devices are fully charged when they’re needed the most. Some portable generators can jump dead car batteries too, making it so that you don’t have to worry about a dead battery leaving you’re stranded. Finally, portable generators offer a degree of comfort to your camping trip. Having the right device means that you can power lights, fans, heaters, or small appliances such as microwaves. Type of Device – Think about what you want to power or charge, does it include your smartphone? A laptop or television? What about a refrigerator? All of these things require different amounts of power, so it’s best to have an understanding of what you want to be able to power before you purchase a generator. Power Output – Think about how much power you’re going to need. Most generators measure their power output by milliamp hours (mAh), and about 10,000 mAh converts to about three full phone charges. Type of Camping – What kind of camping are you going to be doing? Backpacking, camping, or some other type? 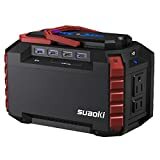 Each different type of camping has different power options, for instance, if you’re going backpacking, you’re going to need a small, lightweight, portable power device outlet. Whereas if you’re going camping, you have a lot more options available to you. Camping Frequency – How often are you going to be going camping? If you’re going to be camping regularly, you might want to invest in a more powerful device. Location – Where are you going to be camping? Right now, solar power is the go-to power device right now, yet it doesn’t work with every location. In many locations you’re better off with a battery powered portable generator. By answering these questions, you’ll be able to, partially, understand what your portable generator power needs are for your camping adventure. Number of Users – Are you going to be the only person using the device? Alternatively, do you need to purchase one that can handle multiple users? Age of Users – If you have young children going camping with you, then you want to purchase on that is safe for young children to be around and use. Emergency Backup – Not all portable generators can jump start a car, so if that’s something that you want then you need to find one that can do that for you. Power Type – How will the generator be powered? Some options include wind power, gasoline, rechargeable battery, and solar power. The type of fuel that your portable generator uses is important to know because you might not always have wind or gasoline to operate your device. Capacity – How many charges can you get from the device? Power output is typically measured in milliamp hours (mAh), but most some manufacturers put it in simpler terms. It’s good to know how many charges you can get out of a generator, so you’re not stuck with something that only does one charge and dies. Size/Weight – How heavy and big is a generator going to be? Small sized generators are lightweight and are useful when you’re backpacking. However, larger devices have a higher power capacity. Durability – Camping takes a big toll on outdoor gear, including portable generators. You should make sure that your generator is ready for any weather that you might encounter on your camping trip, for instance, snow, bumps, and bruises. Try to find a portable generator that is from a well-known brand, for instance, This way you’ll be able to find a portable generator that is known for being reliable. Features – How many charging ports are there? Are the ports USB ports or standard power outlets? Family campers should look for a portable generator with multiple ports whereas a single camper will be fine with a single port. Consider each of these factors before you start looking into purchasing a portable generator so that you know you’re getting the best value for your money. 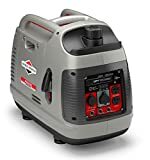 You can easily narrow down which portable generators might work for you and which won’t – which makes shopping for the device so much easier.